Fat Man. Life Is A Long Song. Cheap Day Return. Mother Goose. Wond'ring Aloud. Thick As A Brick #1. Skating Away. Cold Wind To Valhalla (intro). One White Duck/Nothing At All. Salamander. Jack In The Green. Velvet Green. Dun Ringill. Jack Frost And The Hooded Crow. Under Wraps 2. Jack-A-Lynn. Some Day The Sun Wont Shine. Broadford Bazaar. The Water Carrier. Rupi's Dance. A Christmas Song. Weathercock. ; One Brown Mouse. Pastime With Good Company (live). 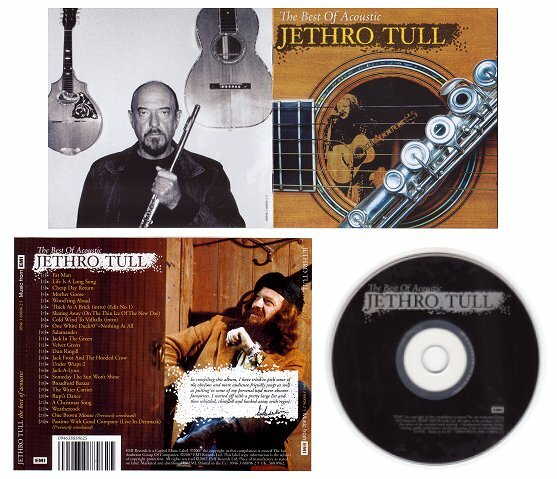 Ian Anderson - Flute, Acoustic Guitar, Mandolin, Percussion & Vocals. John Evans - Piano & Accordion. Barriemore Barlow - Drums Glockenspiel & Percussion. John Glasscock - Bass guitar. David Palmer - Keyboards & Portative Pipe Organ. Dave Pegg - Bass Guitar, Double Bass & Mandolin. Peter Vettese - Keyboards. Gerry Conway - Drums. Doanne Perry - Drums. Andrew Giddings - Keyboards. Jonathan Noyce - Bass Guitar. David Goodier - Bass Guitar & Double Bass. James Duncan - Drums & Percussion. John O'Hara - Keyboards & Accordion. & Ann Marie Calhoun - Violin.